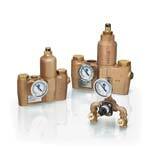 Bradley Corp. introduces its Navigator® Lead-Free Valves. Each valve is made with lead-free brass as the main raw material and comes complete with lead-free brass castings and bar stock and stainless steel. All valves are pre-assembled and fully tested, and meet ASSE, CSA, and/or cUPC requirements. The Lincoln Electric Co. has reengineered its Lincolnweld® 888™ flux for excellent operation in critical multi-arc welding applications typical of the offshore, pressure vessel, shipbuilding, and structural fabrication industries. The flux is engineered to handle up to five welding arcs and has optimal slag removal from deep grooves and narrow gaps. Through bi-directional smart cell technology, Brady Corp.'s Brady IP™ Printer System is designed to let printer, material, ribbon, and software communicate together as it visually tracks usage levels and adjusts sensor position. Users can simply load the material and click the software interface to print a variety of labels, tags, and sleeves. 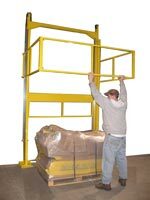 Benko Products Inc.'s Protect-O-Gate CLEAR-AISLE model is designed to reduce the potential for falls and other accidents associated with mezzanine loading areas. Taking up only 10 inches of aisle space when the device's "corral" is raised, ledge gates slide down so the worker has access to the load, eliminating fall potential. 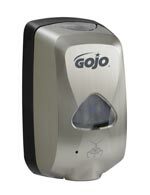 GOJO Industries Inc. introduces the GOJO Hand Hygiene Program total germ-fighting solution for office buildings. The program combines PURELL instant hand sanitizer with GOJO hand cleaners and is designed to address some of the high-visibility issues facilities, professionals, and building operators must deal with, such as restroom hygiene, cross-contamination, and more. 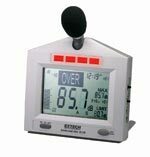 Extech Instruments' new SL130 Sound Level Monitor features both internal alarm illumination and external alarm output. Designed for worker safety compliance, the monitor is ideal for industrial environments--such as factories, plants, refineries, and mills--where there is a need to generate an alert when sound levels exceed a pre-set limit. INFICON introduces the new HAPSITE ER as the next generation of portable GC/MS for immediate, on-site investigation and analysis of volatile organic compounds (VOCs) in air, water, and soil at parts per trillion (ppt) for most analytes. The device combines new features, such as a shorter run time and easy-to-use-operation. JLG Industries Inc. has launched a new family of common attachments for all three of its telehandler brands available in the Americas to increase application flexibility offerings. This new family of attachments includes a grapple bucket, an 8-foot tower, and a fork-mounted work platform. Pelican™ Products Inc.'s Advanced Area Lighting Group has rolled out the portable, efficient, and powerful 9460 and 9470 Remote Area Lighting Systems (RALS). Pelican's line of area lighting systems is backed by a lifetime guarantee and is designed to provide convenient and ecologically responsible alternatives to wasteful generator-powered lights. 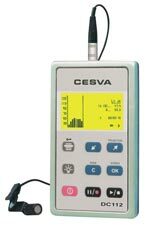 Scantek Inc.'s two new noise dosimeters from CESVA, the DC-112a and DC-112k, both comply with the ANSI S1.25-1991 Class 2 standard and are designed to protect workers against exposure to noise. The instruments allow the use of frequency weightings, time weighting, and exchange rates, and measure simultaneously using two programmable threshold levels.